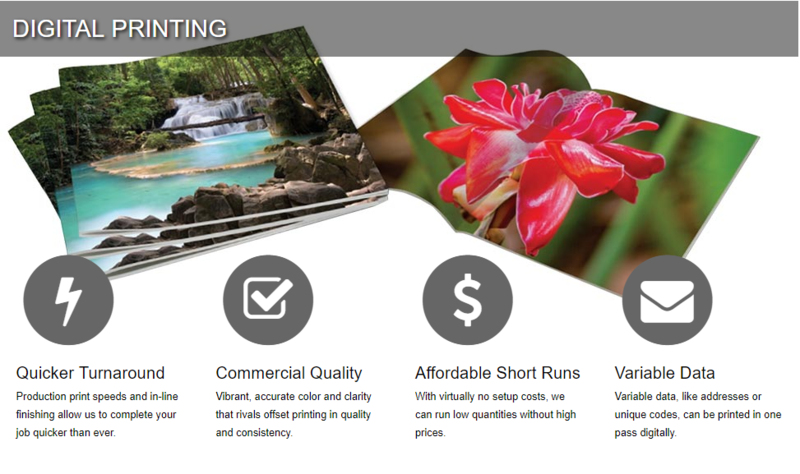 Our state-of-the-art digital press prints 80 pages per minute at up to 1200 dpi, offering our customers vibrant color that rivals offset printing with even faster turnaround times. Digital printing is an option for most projects, but is an even better value for short runs. With reduced setup times and no need for plates, we can output at lower quantities without the extra costs — and because our digital press has in-line mailing and booklet-making capabilities, your catalogs, booklets, postcards and envelopes are more affordable than ever before. If you need help deciding whether your project should be printed digitally or offset, don’t hesitate to contact our dedicated customer service team.